After a very long wait it was announced today (Monday 26th February) that the Secretary of State has agreed to support the Future Dorset proposal for Local Government Reorganisation subject to parliamentary approval. This will lead the way to establishing two Unitary Authorities in Dorset in place of nine County and District Councils. These unitary Authorities will be the only layer of government between Parish Councils and Parliament. One will cover the urban areas, Bournemouth, Poole and Christchurch, and the other the more rural areas of Dorset. Click here to go to the announcement. The agenda for the Parish Council meeting to be held on Monday 5th March and the draft minutes for the meeting held on the 5th February have been published on the Parish Council tab on this website. Also added to the Parish Council tab, a page with information about council grants and an application form. Need advice or to report an issue? Dorset Police have launched a very useful and very comprehensive on-line Non-Emergency Directory going by the name of “AskNED”, designed to help the public find answers to common enquiries and guide them to the right agencies. AskNED offers help and advice around a whole host of topics such as civil matters including issues with parking, noisy neighbours, concern with an animal’s welfare, etc., etc., as well as criminal matters including burglary and assault. AskNED provides advice and information about what you should do and who can help. If you have registered as a subscriber for emailed updates but haven’t received at least one (recently you should have had an email about AskNED the police on-line knowledgebase) then it is likely that our emails are being filtered into your Junk or Spam folder. Please check to see if you have email(s) there. 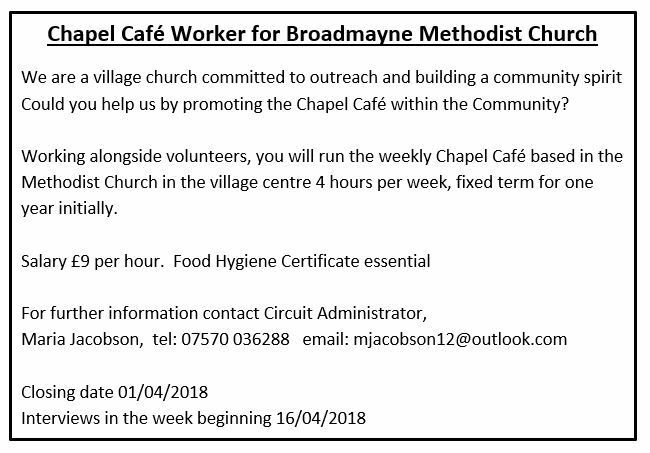 To rectify the problem you need to identify contact@broadmayne.org as a Safe Sender and there are some, hopefully helpful, instructions on the button below. After making changes please let us know, using the Contact form, and we can send you a test email. 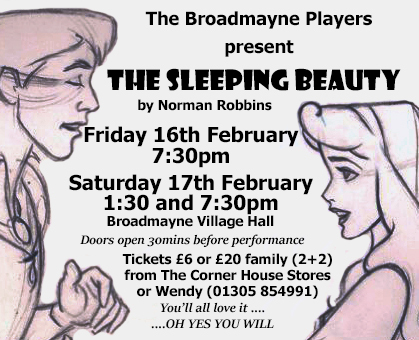 After a year’s break THE BROADMAYNE PLAYERS are back with their village pantomime featuring many of your favourite stars including Paul and Neil Read, Heidi Gibbs and more, as well as newly discovered local talent. If you’re a regular you’ll know that it’s not to be missed – if you haven’t been before come along and be entertained – it’ll be fun – Oh yes it will! Local History Broadmayne have contributed an interesting history of Broadmayne. It can be found on the “The Parish” tab, followed by “Broadmayne Then”. Or by clicking this link.